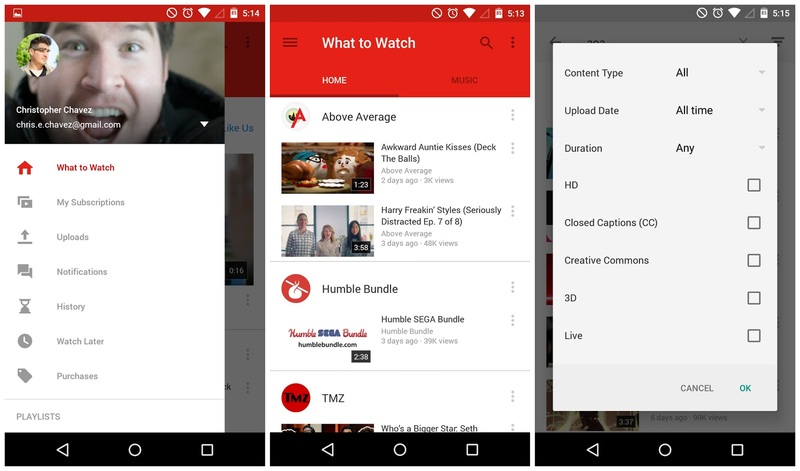 YouTube 6.0.11 is now rolling out in the Google Play Store and it brings the Material redesign, a long waited update. Aside from a completely new, more Lollipop looking UI, the new YouTube brings a few additional advanced filters to help find that really specific video you’ve been searching for. Oh and it also does have new Launcher icon which more likely to be flatter than the previous one. It’s here now and for those that don’t feel like waiting for the staged update to hit your device, you can sideload it by downloading here.